Continuing our series on various kinds of roofing materials and their benefits and drawbacks, we head to California where the most popular kind of roofing in middle class and upper middle class homes is tile roofing. Here are some very excited roofers showing off their favorite product. Tile shingles are one of the oldest forms of roofing and were used a lot during Roman times. The biggest benefits of tile roofing is that its life expectancy is usually greater than the lifespan of the material on which the roofing rests (i.e. plywood). The biggest drawback to clay tile is its weight. Depending on the material being used to make the tile it can be incredibly heavy- so heavy that extra roof supports are required to keep a sound structural integrity of the roof. Tile installation is probably the most complex of any roofing material. Clay tiles particularly are expensive and fragile, walking on them can break them so it takes a different level of expertise to install tile shingles without breaking the tiles. The fragility of the product also makes it more difficult to clean rain gutters and chimneys. When comparing this product to asphalt or cedar shake shingles it becomes clear that this product is the most difficult to work with both during installation and afterwards. Then there is the all important question of price. Most homes in Canada do not have clay tile roofing because it is incredibly expensive. Home advisor puts the average price of installation at $800 a square and claims that it can go as high as $1,000. That is almost three times the price of an asphalt roof and about double the price of a medium grade cedar shake roof. 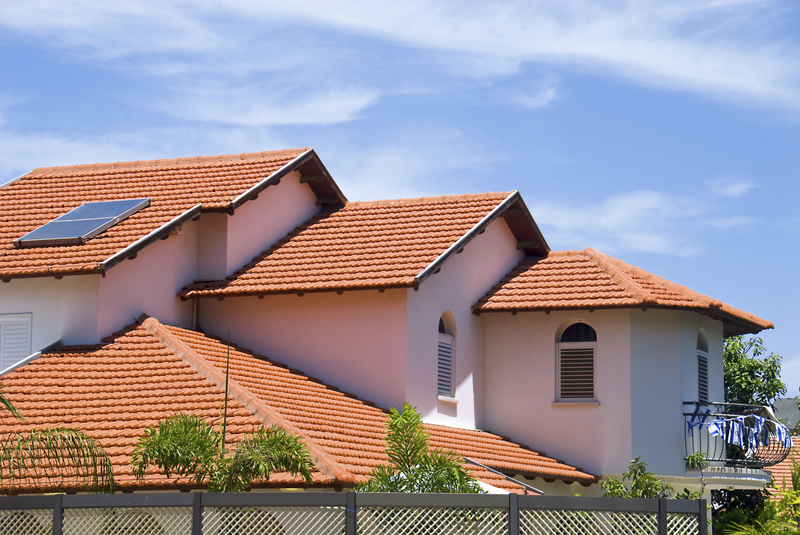 As far as cost goes, tile roofs are the most expensive form of roofing that is still commonly used. The only kind of roofing that is more expensive is thatch roofing which is coming back into vogue in some European countries. One of the biggest questions that we get asked about tile roofs is whether or not they are suitable for colder climates. It does seem odd that most tile roofs appear to be in warmer climates like Italy, California, Mexico, etc. The reason for this is not clear except that tile does not conduct heat well which means there won’t be problems with shingles melting together (a problem faced during asphalt shingle installation on a hot summer day). In fact, tile shingles may actually be better for colder climates since they are impervious to frost and ice and will never warp no matter how cold it gets. We do not get a lot of requests to install tile shingles simply because the cost is more than most homeowners are willing to spend on their roof, but as you can see they are highly durable and may actually be better for Canadian winters than any other roofing product. Very informative article! The biggest advantage with tile roofs are that they have a longer life span but the higher costs some times serve as a major restrain and moreover with rising popularity of metal roof , which offers similar or even more life span and lesser maintenance concerns, home owners generally prefer metal roofs, if they want a roof with a longer life span. great content! love what you guys have written, deffinetely . something to think about, love that house picture!! !